MagicRed Casino brings the spellbinding performances of the best magicians from the Las Vegas strip straight to your computer or mobile, offering a great gambling experience where anything is possible. MagicRed has already performed its own resurrection illusion, first opening in 2015 only to disappear under the management of Redfinger Trading two years later. The casino has now magically reappeared, revamped by Exit 42 Ltd and Aspire Global International. The partners have taken the MagicRed name and made it their own, enticing new members in with an impressive user experience. MagicRed Casino is powered by software designed by Aspire Global. The platform works well with others, allowing for easy integration of games designed by top developers, including NetEnt, NYX and Microgaming. MagicRed Casino's website works on both desktop and mobile devices, but the brand also has a dedicated mobile app available on iOS and Android. It offers everything the website does, all at the tap of an icon on your device's homescreen. 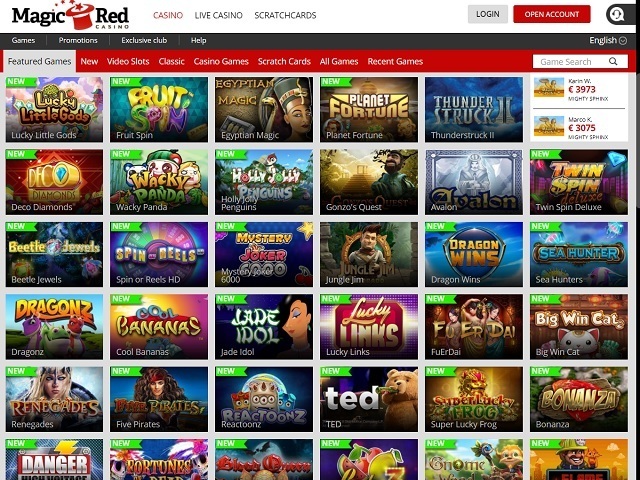 MagicRed Casino uses a clean white background with traditional casino colours – red and black – to highlight options and game choices. It’s a very simple yet eye-catching design that makes navigation around the online casino easy and intuitive. The site sports a responsive design, meaning it stretches and shifts depending on the size of your browser. This can cause some issues if the window is made too narrow, but it works well on most standard dimensions. The menu of game options is quite detailed, making it easier to find ways to get lucky. There’s also a handy search bar to allow members to find their favourite game straight away. As well as a revolving carousel at the top of the screen that informs visitors of any promotions currently available, there is also an inspiring real-time feed that shows how much people have won on which game. 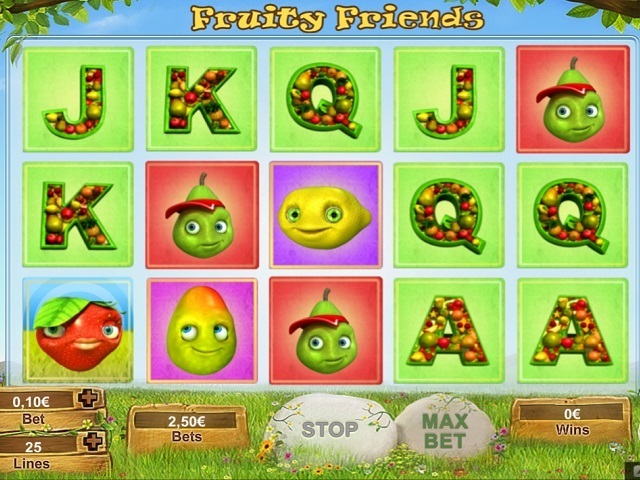 MagicRed Casino has over 250 games, the majority of which are online video slots. There are plenty of classic slot games to try, as well as more traditional casino games or instant win scratch card titles. These have been designed by renowned igaming developers such as NetEnt, Microgaming, NYX and Play’n GO. Does MagicRed Offer Progressive Jackpot Slots? Although it's not an option in the games menu, MagicRed Casino does offer one progressive jackpot game. This is the Redeem the Dream progressive jackpot, designed by the casino’s platform maker, Aspire Global. The game launched in 2017 alongside the casino and offers four progressive jackpots – Mega, Super, Major and Rapid. As well as these top prizes, it also includes a range of special features, including Expanding Wilds, Bonus Scatters and a Dream Spin Bonus Round. Can Players Demo MagicRed Slot Games for Free? With the exception of the live casino games, all of the titles at MagicRed Casino come with a demo mode. When players hover over a game tile, the main play symbol appears in the middle, while in the bottom right corner the word ‘demo’ will appear if that title is available to try for free. Players simply click on this and dive into the fun. Once in the free demo mode you can then segue into the paid game if you're feel lucky. MagicRed Casino has a few payment options, including VISA debit and credit cards, MasterCard and pre-paid paysafecard. Players can also use eWallet services such as Neteller, Entropay and Skrill. MagicRed Casino supports Skrill’s 1-Tap instant payment feature. MagicRed Casino has a generous first deposit bonus worth £300 – definitely not a magical illusion. The bonus is split into three parts, with the first deposit bonus set at 100% up to a generous £50. The second deposit comes with a 50% bonus up to £100, while the third and final bonus is 25% up to £150. In addition, players get 20 free spins for the first four days of their membership, on a different game each day. MagicRed Casino’s motto is CARE, which stands for ‘Customers Are Really Everything.’ The casino’s dedicated team are able to answer questions and solve problems through a number of different avenues, including live chat and email. They even have a customer telephone number open from 6am until 11pm. MagicRed Casino operates in the UK with a license from the UK Gambling Commission, while the casino is hosted in Malta and has a license from the Malta Gambling Authority.